Severance gives us the start and the end of the apocalypse simultaneously. A small band of survivors navigates a post-apocalyptic wasteland. A small millennial navigates the pre-apocalyptic emotional wasteland of New York. If you’re anything like me, the plague-ridden shell of the Western world sounds infinitely more fun than watching a 20-something floundering through a series of mediocre life choices; and yet it’s the latter that makes Severance worth reading. Candace Chen, parentless and only moderately talented, is adrift in a world of patronising boyfriends and it-girl designer-handbag frenemies when Shen fever creeps into the news. 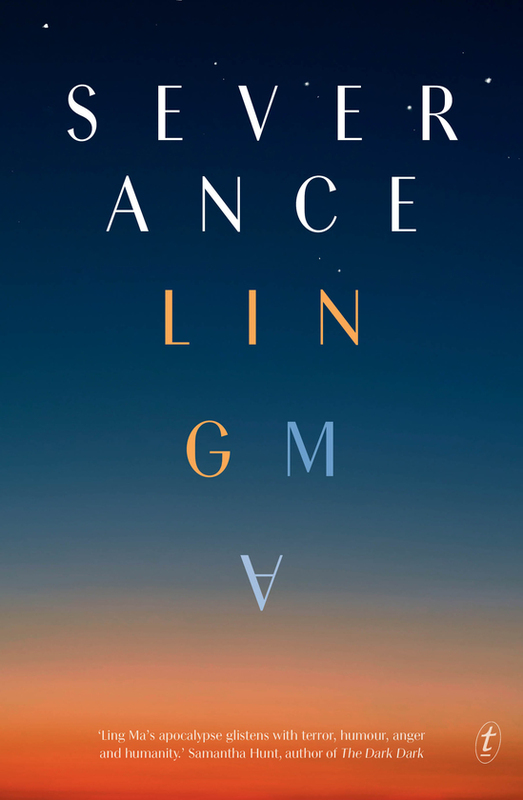 Not quite a zombie virus—the infected might be dead-alive but they don’t bite—Severance becomes a satire on how doggedly humanity will pretend everything is fine, clinging blindly to brand names and skin care routines even as the planet goes down the crapper. It’s subtle, well written, and original in making denial its centrepiece rather than the drama and violence usually accompanying the end of days. Candace is going through the motions of what could be a fairly typical young-adult-finding-herself story, reaching for things that seem important and finding when she gets them that they’re not what she expected. However her obliviousness to human life receding around her gives Severance a tinge of personal tragedy that is otherwise missing from the extinction of the species. After all, it’s hard to root for a bunch of yupsters that have an existential crisis in the face of a problem that can’t be solved by buying things. On the other hand Candace trying to make her mark on the world while it disintegrates under her fingers is compelling and faintly sad. So far, so engrossing. In depicting the present day, Severance is thoughtfully constructed with plausible characters. Candace and her cosmopolitan peers are relatable, if not as sympathetic as they’re probably intended to be. As author Ling Ma flips us back and forth between the present and the future, the future suffers by comparison. The gun-toting tinned food-scavenging survivors Candace eventually joins with when New York shrivels are forgettable, too generic to even fit into stereotypes. And if I told you the small band of survivors is beholden to a leader that is charismatic, religious and just slightly-too-controlling at the outset, you could probably write the rest of that plot arc yourself with a fair degree of accuracy. It’s not bad but the road to the climax is a paint-by-numbers affair, and feels a little lop-sided and unloved after the care Ma has so clearly invested in the rest of the book. What Severance lacks in tension though, it makes up for in intelligence and insight.